Through the University of Nebraska at Omaha, students have access to exceptional experiences both in Omaha and across the world! With over 15,000 students enrolled in 200+ programs of study, only a fraction of those students are taking their education global. 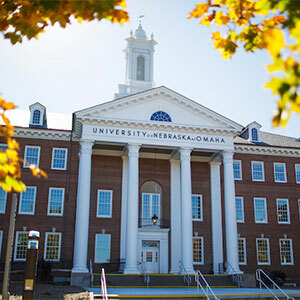 UNO students have access to exceptional international programs! With over 1,000 program offerings with varying course options, time ranges, and locations, Education Abroad can help find a program that best fits you. Join us at the 2018 Study Abroad Fair in the Milo Bail Student Center Plaza on Wednesday, September 19 from 10 AM to 2 PM. Stop by and have a chat with our study abroad alumni, exchange students, program providers, and faculty and staff members. We will have information about study abroad options, funding opportunities, upcoming events and ways to get involved. Research shows that 96% of study abroad alumni claimed an increase in self-confidence attributed to study abroad, 84% of study abroad alumni felt their studies abroad helped them build valuable skills for the job market, while 97% of study abroad students found employment within 12 months of graduation; when only 49% of college graduates found employment in the same time frame. Studying abroad sets you apart from the crowd, helps you prepare for an interconnected world, and improves your personal, academic, and professional growth! Can't attend the study abroad fair, but still want information? Don’t fret. 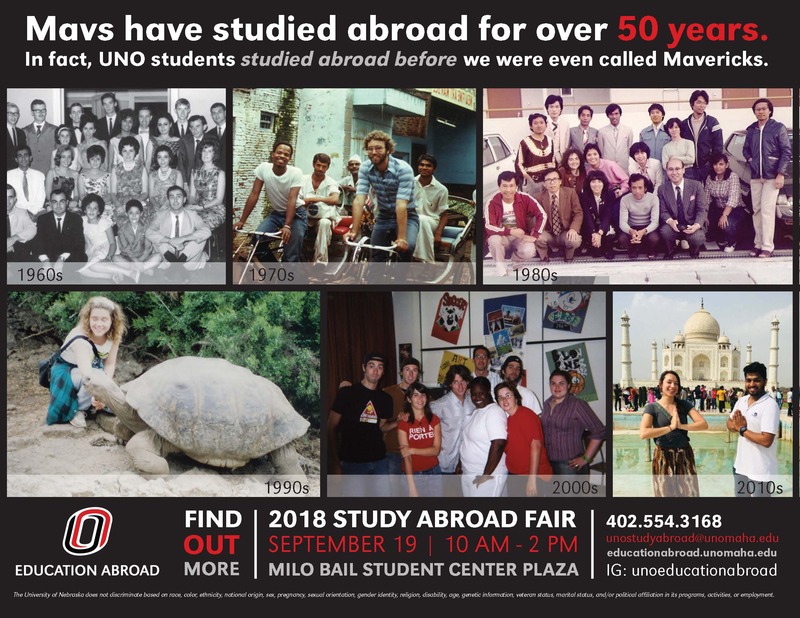 UNO Education Abroad is here! Access the exceptional, take your education global, and study abroad. There is an abundance of opportunities to find something that works for you. Get in touch today to speak with our awesome peer advisors and learn more about education abroad options and funding opportunities!